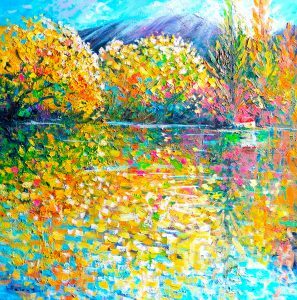 Hi Everyone!, Mothers day coming up so have given you a 15% discount on all prints on my website https://shop.helenblairsart.co.nz/product/aurora-southern-lights/ Codeword – mothersday , ends 13th May. And one mini giveaway for Mothers Day! share to be into win!!!. Theres still a few new mug designs available on my website. 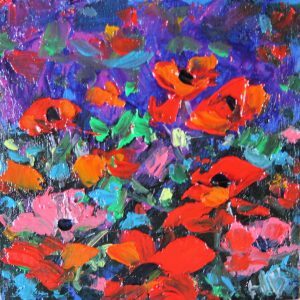 New Mini Mothers Day give away! Poppies give away!, something unique for your Mum, size 9 x 9 cm, painted on board. 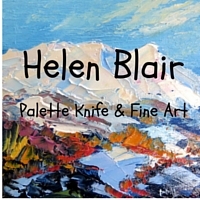 Visit my facebook page https://www.facebook.com/HelenBlairArtist/ , like and share to be in to win! 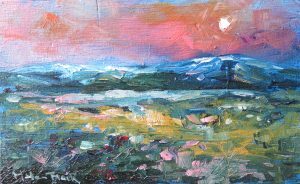 Two more mini’s, Mouintain moonlight, the moon was so large above leaning rock mountain which made the pinks in the sky glow. 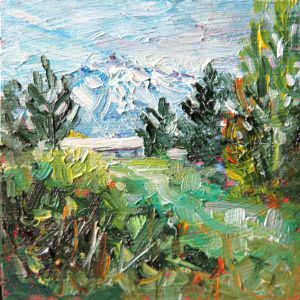 The mountain one I painted a few kms down the road, we had just had fresh snow, our first lot for Autumn, so it was looking beautiful on the mountain, autumn colours were just starting to show. Theres still a few mug designs available on my website, they make a unique gift and give lots of colour! 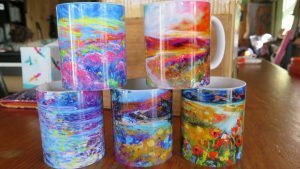 New mug designs available, https://shop.helenblairsart.co.nz/product/sunflowers-mug/. Copyright © *|2018|* *|HelenBlairsArt|*, All rights reserved. Previous StoryEaster Sale! Next StoryLots of Snow and Ice!